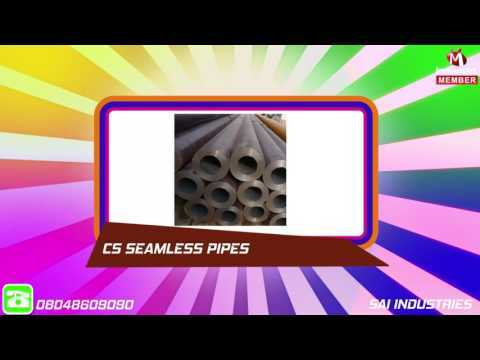 Since its commencement in 2010, Sai Industries is instrumental in wholesaling and trading Steel Products. Being a quality oriented firm, we provide best quality products which include Mild Steel Pipes and Tubes, MS Structural Steel and SS Structural Steel. Our offered products range is well appreciated in the market, owing to their sturdy design, high impact and pressure bearing capacity, wear and tear resistant and dimensional accuracy. Manufactured using best quality raw materials and modern machines by our trusted vendors, these products attain perfection to the level of international set standards. Due to our diligent vendors' base, we are able to serve flexible requirements of our clients with ease under minimal lead time.